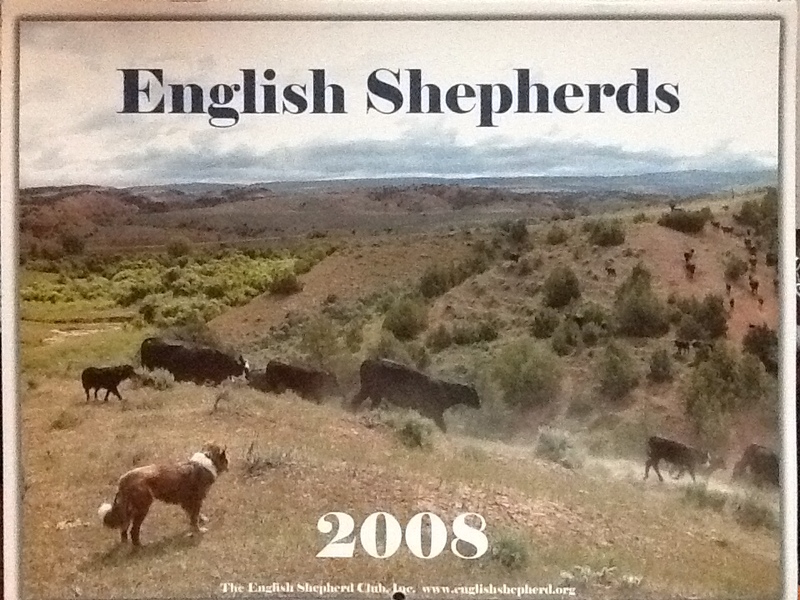 I keep running across photos of him… He’d manage to sneak into the shot especially when I was trying to get something I could submit to the English Shepherd Club for their calendar. In fact, Boomer made it to the cover one year, although many people never even noticed him. If calendars came with sound effects, you’d know he was there! The Upper Nowood will be much quieter without him… and I won’t have an early warning system when Daniel comes up in his pickup… and while he could be rather OCD with his barking… There were times he could be there silently… tolerating all the puppies I ‘borrowed’ and avoiding my gang of ES’s. Sliding up unobserved waiting for an apple core to eat. He gave us love and laughter and companionship and partnership. What else are dogs made for? BoomBoom, you will be missed. I’m off to the Wyoming Library Association meeting… expect photos for the next few days… and more only if there’s time! Oh, this made me cry. I will miss his stick dropping at our feets waiting for a throw. Tell Daniel I am sorry for being so late with condolences. What a loving tribute to bury him with a stick. Oh those fur babies, how they get into our hearts. I’m sorry your friend is gone. Too sad to comment still . I hope his passing was peaceful . Now can Colt stay with someone there?